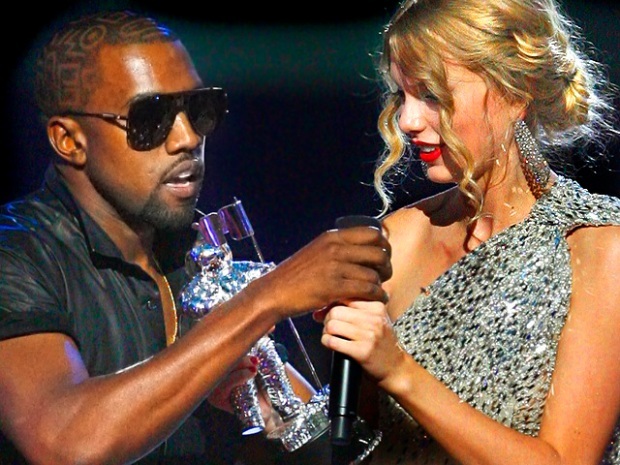 Kayne West jumps onstage after Taylor Swift won the award for Best Female Video and took the mic from her. Taylor Swift and Kanye West are both scheduled to take the stage Sunday night at the 2010 MTV Video Music Awards, but not together. The 20-year-old country crossover artist was spotted secretly rehearsing a new song for the show in Los Angeles on Friday, reported the AP. The song called "Speak Now," from the Grammy-winner's upcoming album is about the Swift -West controversy that began at the 2009 VMA's. As Swift graciously attempted to accept the award for Best Female Video, "Power" rapper West stormed the stage stealing her moment. 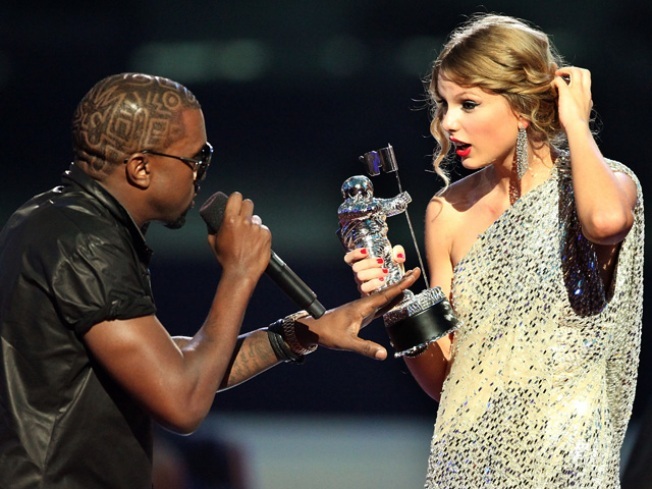 "Taylor, I'm really happy for you, I'm gonna let you finish," interrupted a boozy West, "but Beyoncé had one of the best videos of all time." West has many times over apologized for the stunt, but the pair have not been reunited since the incident. 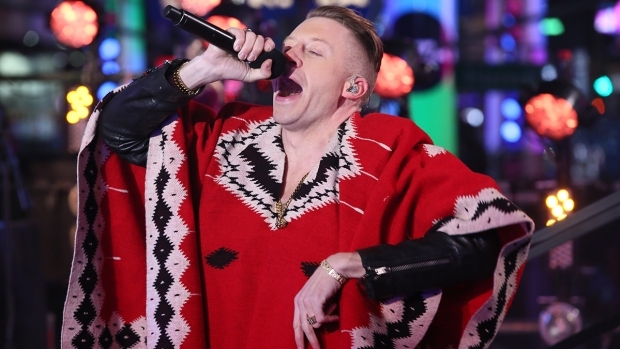 To try to redeem himself, the hip hop star even went so far as writing a song for Swift. "I wrote a song for Taylor Swift that's so beautiful and I want her to have it," he recently tweeted. "If she won't take it then I'll perform it for her." But instead of performing West's song, it seems that Swift who has remained mostly quiet about the incident, has her own song to sing. West along with Justin Bieber, Eminem, Drake, and Usher are also scheduled to perform. This year's VMA host, sass-master Chelsea Handler has stated she wants to see both West and Swift together on stage. Tune in at 9pm EST Sunday night to see if West can finally make his amends.